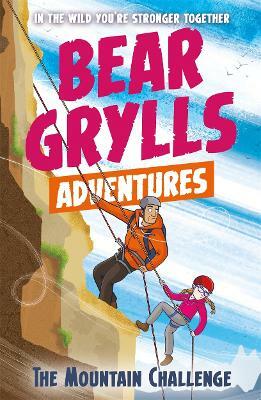 The tenth in the fun new 12-book collectible series for young readers from survival expert and Chief Scout BEAR GRYLLS. A mysterious compass with a fifth direction transports a young girl to a mountain top high above sea level, where the air is thin, the steep drops are treachero... read full description below. The tenth in the fun new 12-book collectible series for young readers from survival expert and Chief Scout BEAR GRYLLS. A mysterious compass with a fifth direction transports a young girl to a mountain top high above sea level, where the air is thin, the steep drops are treacherous and the conditions tough. Luckily, survival expert Bear Grylls is on hand to guide her safely down the mountain, facing her fears and gaining in confidence along the way. Each book in this fun new 12-book series from BEAR GRYLLS follows a different child on the outdoor activity camp. Once they are given the magical compass, they meet the inspirational adventurer in an amazing place and learn new skills and facts they can take with them back to their real life.